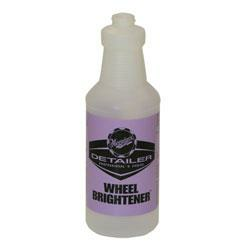 Screen printed mixing bottle for use with Wheel Brightener (contents and sprayer not included). Top company for car detailing products. Absolutely number one.